Infiniti will target young, affluent customers with the production version of the QX30 compact crossover, which will be based on this concept that debuted at the Geneva auto show in March. Japanese premium automakers are counting on bold, potentially polarizing designs for their forthcoming small cars to lure customers in Europe from rivals BMW, Mercedes-Benz and Audi. All premium brands competing in Europe are strengthening their lineups of fuel-efficient compact- and subcompact-sized offerings to better comply with the region’s toughening CO2 regulations. Infiniti’s first moves in that direction are the Q30, a rival to the BMW 1 series, and the QX30, which is aimed at the Audi Q3. 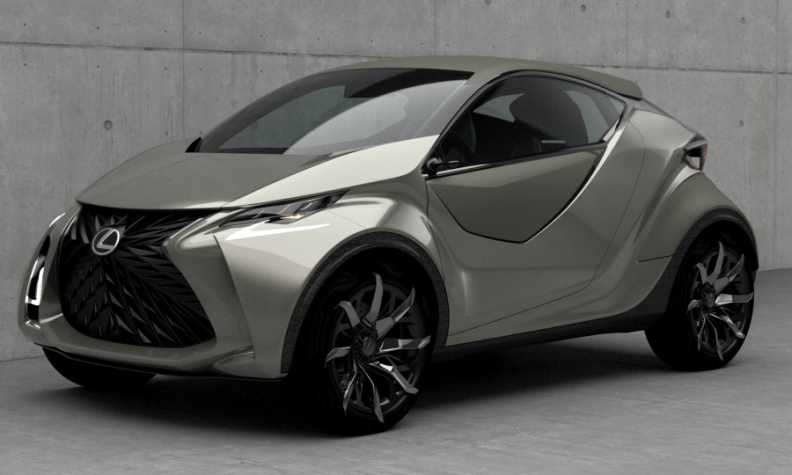 Lexus hinted at its plans for a rival to the Audi A1 and Mini with the Lexus LF-SA concept, which debuted at the Geneva auto show in March. Toyota’s luxury offshoot has struggled for years to mount a serious challenge to the dominant German luxury brands, so Lexus is looking to create waves in Europe’s entry-premium segment. The LF-SA, which was styled at Toyota’s design studio in Nice, France, employs all of Lexus’ defining exterior elements in a package that is smaller than anything it currently builds. “The starting point was the iQ package,” Lexus and Toyota designer Laurent Bouzige said. “We too wanted to create a very small car for the Lexus brand that gives the impression of smart sophistication.” Though Toyota ceased selling the diminutive iQ in Europe last year, the company still believes there are customers in the premium market who are interested in the segment, especially if the offering is more individual and progressive. Lexus says the LF-SA concept hints at a small, sophisticated entry-premium model that, if built, would take on the Audi A1 and Mini. Infiniti also views design as a key to encouraging conquest sales. Nissan’s luxury arm used the Geneva show to debut a concept version of its forthcoming QX30. Infiniti said it will target younger affluent customers with the production version of the compact crossover, which will be “highly influenced” by the sleek QX30 concept, Roland Krueger, Infiniti CEO, told journalists on the eve of the show in March. 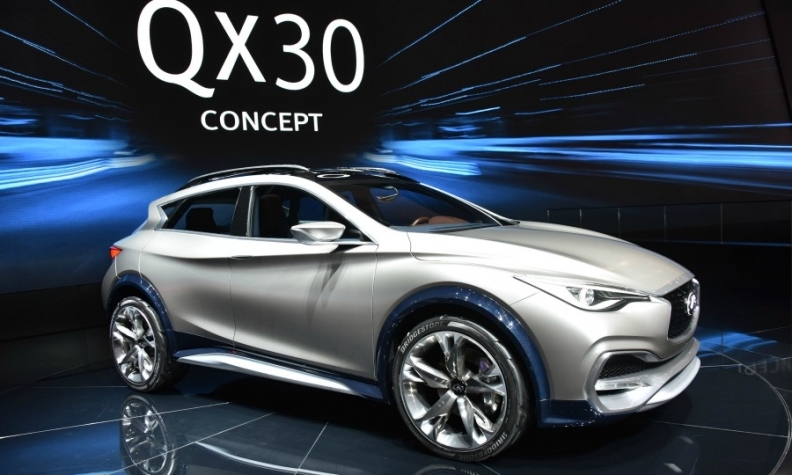 The QX30 will be Infiniti’s first entry in the booming compact crossover segment. It will be a rival to the Audi Q3, Mercedes-Benz GLA and BMW X1. Albaisa started Infiniti on this path roughly two and a half years ago. The results will be portrayed on the brand’s forthcoming Q30 and QX30, which will be built at a new facility within Nissan’s factory in Sunderland, England. The planned combined capacity of the new cars is 60,000 units a year. The design of both models is supposed to help Infiniti stand apart from its much older rivals. “I love Jags and Aston Martins but they’re kind of held [back] by tradition, even when they make a beautiful modern car. We don’t have that. We take life and we can shake it, turn it upside down,” Albaisa said. While the QX30 and Q30 will share their Daimler-created platform with the Mercedes A class and GLA, Albaisa says that will not result in models that look the same. The Q30 will go on sale in Europe in late 2015. The QX30 will arrive in European showrooms in spring 2016.